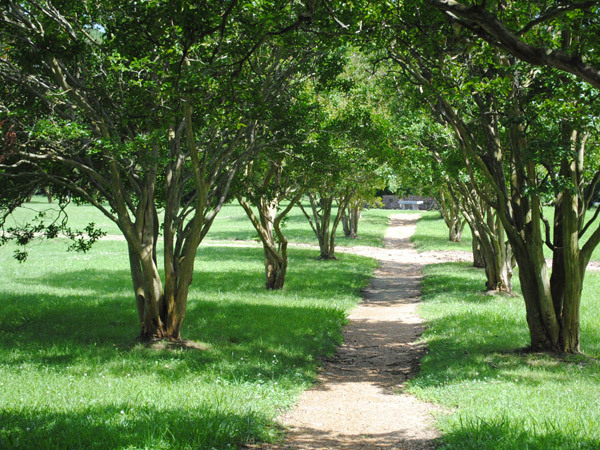 Originally part of the 8000-acre English settlement known as the Berkeley Hundred chartered in 1619, this plantation was destroyed in an Indian raid three years later. 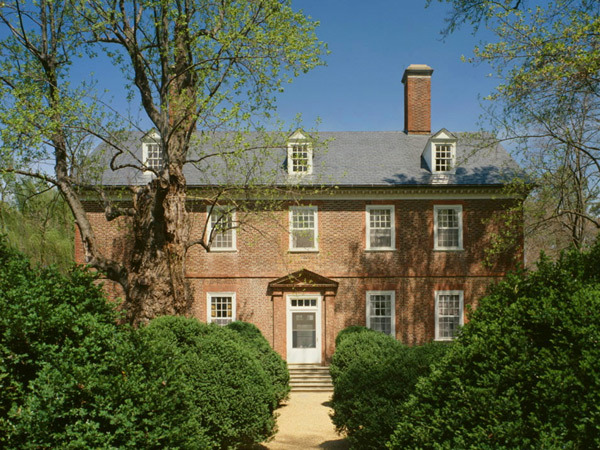 In 1691 the hilltop plantation overlooking the James River was purchased by ancestors of President William Henry Harrison and a Georgian-style mansion and formal gardens were constructed in 1726. The Harrisons sold the property in 1840 and the land, abandoned by the start of the Civil War, served as a camp and hospital for Union soldiers. In 1914 John Jamieson, who had served as a drummer boy stationed at Berkeley, purchased 1,400 acres of the property. 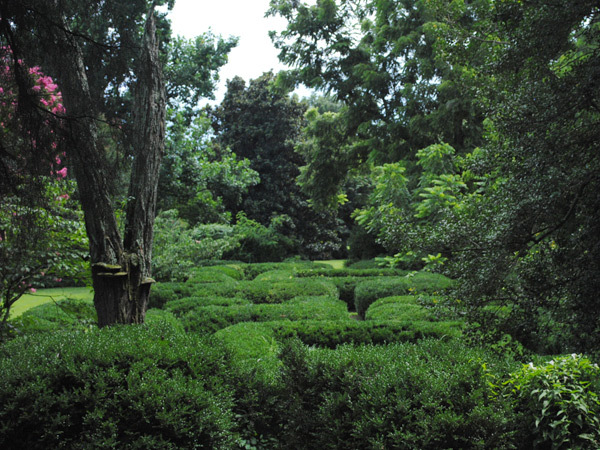 Jamieson’s son Malcolm restored the landscaped terraces, formal boxwood parterres, and a rose garden and opened the property to the public in 1938. 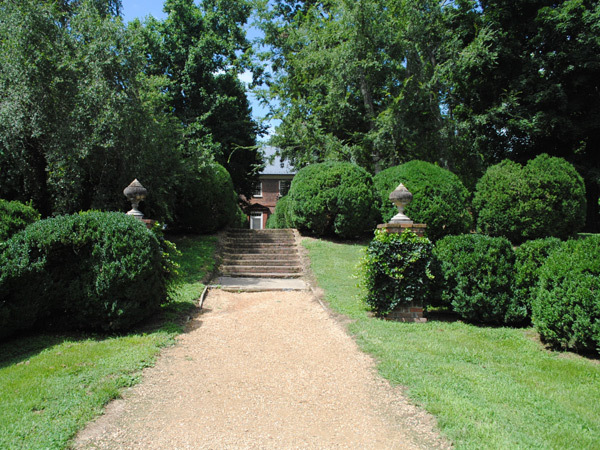 Shaded by tall pines and lined with boxwoods, the entry is marked by a white wooden gate hinged on brick pillars. 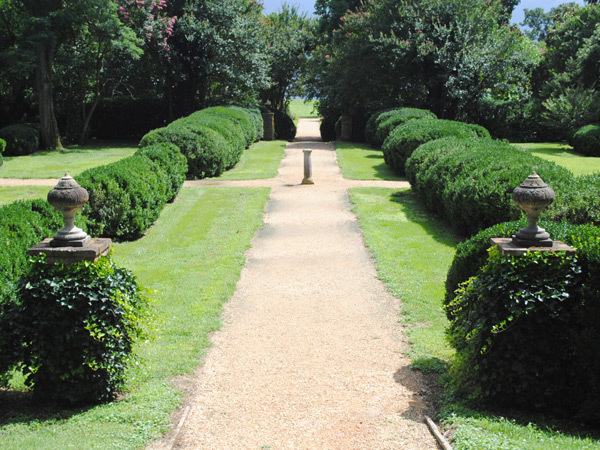 The main house and primary path establish an axial alignment from which secondary paths extend to access the restored detached kitchen and bachelor’s quarters. 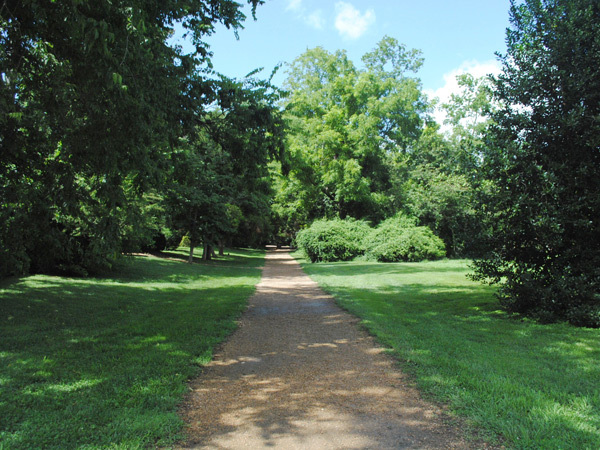 Along the gravel path, Berkeley’s ten acres of formal gardens extend a quarter of a mile from the house to the river. 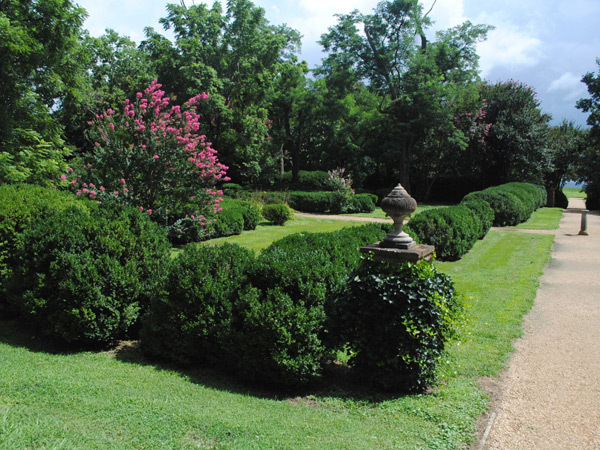 Five terraced gardens are subdivided into four outdoor rooms, each featuring different configurations of boxwoods, flowering gardens, mature trees, and structural elements including ornamental pillars and a large gazebo. 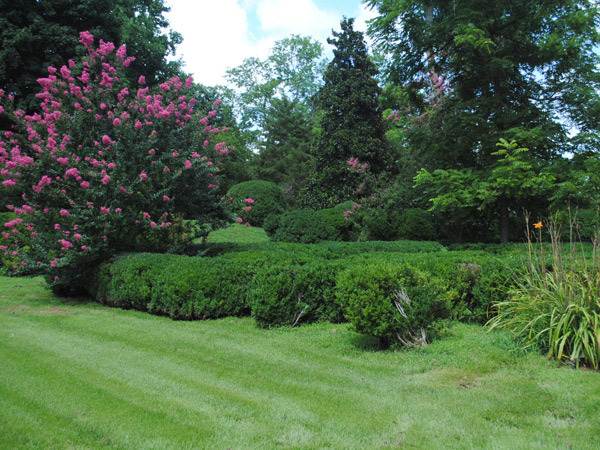 The restored Ladies Winter Garden and Harrison family cemetery offset the agricultural landscape and river views. Berkeley was designated a National Historic Landmark in 1971 and listed in the National Register of Historic Places in 1972.